What is presently a controversial subject matter as many States one by one approve the medicinal use of marijuana, this new research book should help provide medical support for new legislation. This is an interesting insight from the author who is a retired career law enforcement officer and Parkinson’s patient. 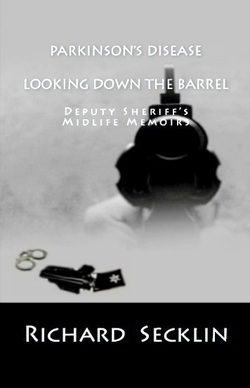 His first book, "Looking Down the Barrel," a Parkinson's disease self help spiritual book was put in print by Nettfit Publishing in 2010. Pharmaceutical use of cannabis is not new and history shows us how this miracle plant has been misinterpreted through an era of ignorance. Cannabis has been used for thousands of years and the credibility of marijuana as a therapy specifically for Parkinson’s disease is somewhat new. 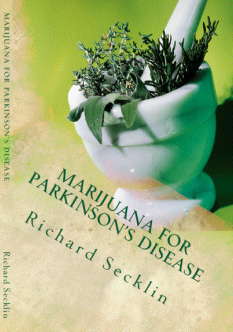 “Marijuana is a miracle plant that helps Parkinson’s patients and benefits people suffering from many other illnesses,” states PD patient and author of, "Marijuana for Parkinson's Disease" (2012). TWITTER ME AT PARKINSONSHELP SEE VIDEO ON CANNABIS HERE! A heartbreaking characterization of what can happen when one is diagnosed with a debilitating disease. Parkinson’s disease is much more than a movement disorder. Symptoms from the disease or medications taken to live with Parkinson’s produce an array of physiological and psychological conditions that affect you and your family. Even after the loss of marriage, family and his career, it doesn’t keep the author from depicting the brighter side of life with his funny anecdotes in his continual battle with this illness. In the end, his story will leave you with the feeling of satisfaction and resolved joy.